Century 21 M&M Vacaville has 13 local Realtors to serve all of your Real Estate needs. Currently Lauralee Ensign is the Sales Manager for the Vacaville office and she says that Vacaville is a great place to live. It is close to the Napa Wine Country, Travis Air Force Base, the Nut Tree and the Jelly Belly Factory in nearby Fairfield. Vacaville, California is located in Solano County in Northern California, nearly half-way between Sacramento and San Francisco on I-80. Vacaville has a beautiful setting bordered by rolling hillsides, fruit orchards and fertile farmland. With an elevation ranging from 90 to 300 feet, Vacaville enjoys a typical Mediterranean-type climate with warm summers and mild, wet winters, with an average summer high of 94º and an average winter low of 36º. Annual rainfall averages approximately 20 inches. ‘A small town at heart’, Vacaville has transformed from a small agricultural town into a thriving and progressive city with a diverse population of almost 100,000 residents. These ‘small town’ residents pride themselves on a high level of community involvement. The median price of a home as of March 2012 is $215,500. Residents of all ages participate in organized sports leagues year-round, including; soccer, baseball, softball, basketball and ice hockey. Vacaville has invested in state-of-the-art public recreation facilities, including a community pool with water slides and a diving well, ball fields and a skateboard park. Community events include: Fiesta Days, 4th of July Celebration, a Tribute to Seniors, Free Creekwalk Concerts during the summer and Merriment on Main festivities during the holiday season. 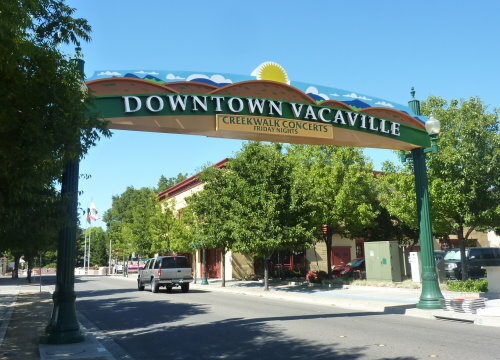 Vacaville also has a wide range and arts and entertainment opportunities, including the Vacaville Performing Arts Theater and special events at the McBride Center. Nearby, the Lagoon Valley Park provides an opportunity to fish, hike and sail. Residents and visitors enjoy an expanding choice of restaurants in the revitalized, historic downtown, and some of the best shopping in the area. The top 10 employers in Vacaville are: California Department of Corrections and Rehabilitation, Vacaville Unified School District, Genentech, City of Vacaville, Alza, State Compensation Insurance Fund, Kaiser Permanente, VacaValley Hospital, M & G Duravent and Travis Credit Union. Two state prisons are located in Vacaville; California State Prison Solano and California Medical LoFacility. The latter prison houses inmates undergoing medical treatments. According to Google.com/publicdata, Vacaville unemployment rate stands at 8.1% for the month of February 2012. Local school API scores average from 736-868 according to California School Ratings, (http://school-ratings.com/cities/Vacaville.html) with at least dozen elementary public schools and five high schools. The town has a District supporting the Solano Community College. Among others, it offers an associate degree in biotechnology, which could lead to employment with local industries. Other colleges and universities include; California Maritime Academy, Chapman University, The University of Phoenix and Touro University (Osteopathic Medicine). If you are looking for a community that believes it is a ‘small town at heart’ with the added advantage of its close proximity to the Bay Area, the Napa Wine Country, and the state capitol – consider Vacaville. 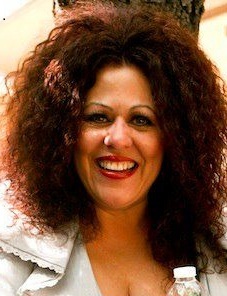 For all of your Vacaville Real Estate needs, call a Century 21 M&M Realtor at (800) 350-1548. You will be glad you did. Wonderfully written….makes me want to take a trip to Vacaville! i think i may include this in my summer plans…. Reblogged this on Visit Vacaville!.